Gerber Dental Practice | Gainesville Dentistry | General & Emergency " "
Dr. Dale Gerber has established Gerber Dental in Gainesville to serve his community and the nearby towns of Alachua and Newberry, FL. He and his entire staff are dedicated to delivering gentle and effective dentistry to preserve your oral health and improve the look of your smile, should you desire cosmetic dental care. With a meticulous approach to treatment and 25 years of experience, you can rely on Dr. Gerber to provide care that is both professional and tailored to meet your individual needs. We have designed our modern office to be inviting and relaxing. We offer streaming entertainment, including Netflix in our lobby and each of our operatories. Our warm and friendly staff are helpful and value your time. Paperwork, including medical history and insurance information, can be completed in our office or online at your convenience. Once your paperwork is submitted to our front desk, you won’t be kept waiting long as we do not overbook our patients. Once in an operatory, you will have images of your teeth and gums taken and a thorough examination by Dr. Gerber and then be sent to our skilled hygienist for a dental cleaning. If you are experiencing a dental emergency on your first visit, you will be seen promptly by our compassionate dentist, who will address your pain and determine the appropriate course of treatment. Our dentist believes in conservative dental treatment whenever possible and our dental practice only recommends advanced procedures when absolutely necessary. 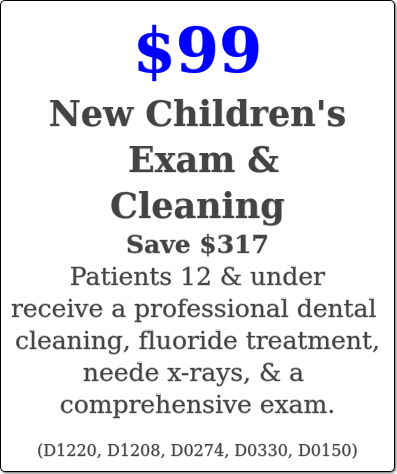 Dr. Gerber is committed to providing affordable dentistry for our Gainesville area patients. 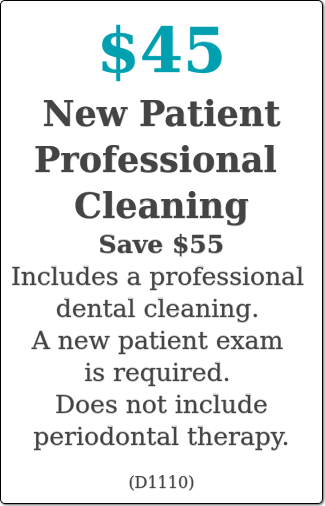 Offering affordable dental care doesn’t subtract from the VIP treatment that patients receive in our dental office. In addition to quality entertainment, we offer free WiFi so you can save data while visiting our practice. If you are in need of a gentle dentist who, along with our staff, cares about every aspect of your well-being and is adamant about earning your trust, call Dr. Gerber today! Please see our coupons below for special discount pricing. 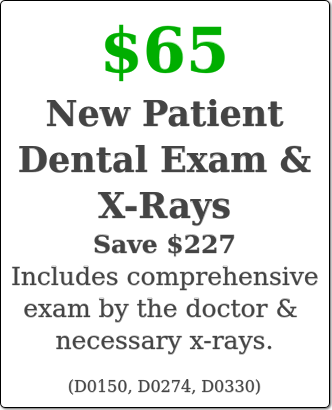 We are conveniently located next to Pep Boys on Newberry Road and accept most PPO dental insurance, and credit cards.